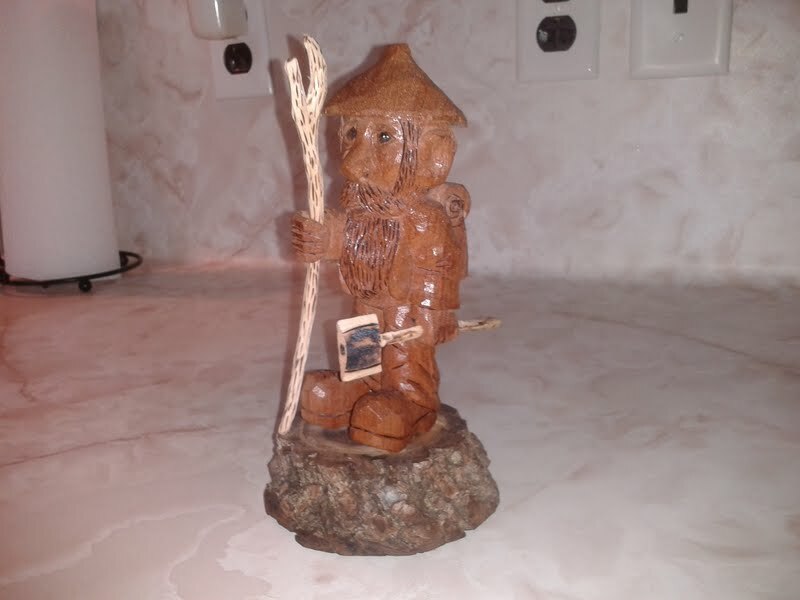 “Woodcutter” is carved from one piece of red mahogany, he stands approx. 7″ tall. The staff and axe are carved from basswood. Woodcutter has been highlighted in various areas with a wood burner, to help accent the detail. The carving is mounted on a walnut base and sealed with a semi-gloss polyurethane finish. Please double click on the picture to enable a better view.